This post is not sponsored, however it may contain affiliate links. 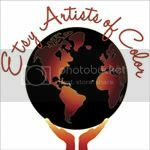 I may gain a commission if you shop through these links. These views and opinions are my own and I will always give an honest review. What's crackalackin'! 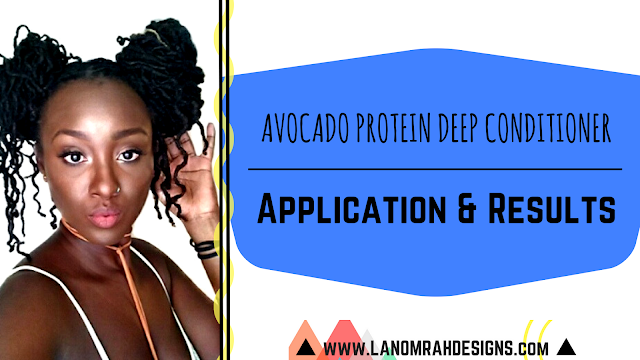 Last week I showed you my easy peezy DIY recipe for an Avocado Protein Deep Conditioner Treatment. If you missed it, click here for the video of how I whip up this hair smoothie, and a detailed recipe and instructions. Today I'm sharing details on my application and results of this deep conditioner. You can watch the video, read this post, or both! Whatever you do, leave a comment and let me know if you will try or have tried a treatment like this! First, I shampooed my hair (I recommend a minimum of two shampoos) with OGX Awapuhi Ginger Shampoo. You don't have to go out and buy this shampoo, it's just one that I had on hand and decided to try. I didn't find it life changing, but it did the job and smells quite nice. For a deep clean I made sure to really get in there with my fingers and work the scalp and the roots (where buildup tends to occur). The first shampoo is always a doozy due to oils and build up in the hair, but the second time around you should get a really nice lather. If your hair is as long as mine (waist length or longer) you may find that two shampoos aren't enough because of oils and build up in the length of the locs. So 3's often the charm. After rinsing, I applied a Garnier Fructis Anti-dandruff Shampoo to my scalp *only*, and massaged that in until I had a nice lather. I use the Mint Cleanse version which I like, but generally find too drying for my hair so I keep it focused on the scalp. However, Garnier also makes a version of this shampoo for dry scalp (I had no idea) that I may have to try when I run out. I also focus on the scalp because this shampoo has fine microbeads that I'm weary of getting into my locs. Disclaimer: I've had this shampoo a while. The way I use it a little goes a long way, so I'm not sure if newer versions of this shampoo contain these microbeads. The shorter your hair the easier, and less messy this application will be. I divided my hair into 4 sections to make application more manageable. With each section I worked with, I first divided it into two parts and applied the avocado treatment from the ends of the hair to the roots. In hindsight it probably would've been smarter for me to start from the roots. I only say that because I almost ran out and literally scraped the bowl to have enough to apply to my roots in the last section. Despite this little moment of panic though, it worked out. 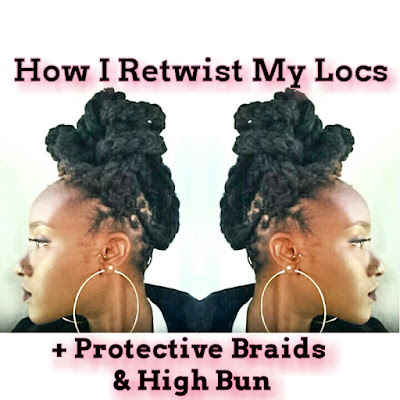 I started at my ends because that"s where my hair was driest and I just wanted to bring my ends back to life. When I was done I two-strand twisted, then wrapped each section up into a bun, ultimately ending up with 8 buns (looking like a hot mess smh) although 4 would have been ideal. Once my buns were secure I then put a plastic bag over my head and secured. Yes... a plastic bag (Tarjay, you da best *DJ Khaled voice*). Don't judge me. Reuse, Reduce, Recycle #nshit. Plus, I haven't found a shower cap that adequately covers all of my hair. YOU can however do you and use a shower cap. Whatever works! Next I wrapped a head wrap/scarf around my head just to absorb any liquid that leaked from my DIY shower cap set up. Now ideally, letting this mixture sit in the hair for a minimum of 30 minutes should do the job to see some results. You could even add a heating/steam cap to really help this treatment penetrate even more effectively. I was aiming for 4 hours because a) I don't have naan heating cap b) I had ish to do while this DC was percolating... BUT I also knew that is was damn near 6 pm by the time I had finished applying; I was tiahd! I took care of some chores and just went to rest my eyes a bit. Well when I woke up it was Tomorrow 😭... yes, the next day. Look, I just went ahead and rinsed my hair out really well in the shower. You can't cry over spilled milk. I ran very warm water (DO NOT BURN YOURSELF then come back to this blog to yell at me in all caps! Use your discretion! ), and used that washing motion that grandma teaches you so you know how to wash your clothes by hand to work the conditioner out of my locs. If you don't have locs this may not be necessary, but if you do you want to ensure that you rinse this out thoroughly. After rinsing out the DC completely I applied Creme of Nature's Argan Oil Pure-Licious Co-Wash Cleansing Conditioner to my hair. This co-wash is free of sulphates, parabens, mineral oil, and petrolatum, and it was perfect so as not to strip the hair of all the moisture I'd just put in. My hair felt soft, rejuvenated and moisturized. Prior to this treatment I was experiencing dullness and dryness, and while this obviously is not a one time fix-all remedy, there was a noticeable difference with my hair. There was definitely more shine, and what I refer to as slip with my hair. A better term would probably be increased smoothness. I'm going to try this treatment again soon to see if I get similar results. Unfortunately I did not retwist/re-loc my hair this time around, I just let my loc-fro do it's thing... something I'm sure I will regret next retwist time because I did not pull these babies apart while they were free. Le sigh. I hope this post was helpful! Leave a comment and make sure to Subscribe to my Youtube channel so you don't miss a video! THIS WEEKEND ONLY: ALL THE DISCOUNTS!